SoftBank, the Japanese telecom company that owns 80% of U.S. carrier Sprint, is considering an IPO that would spin off the company's mobile phone unit. The offering would be made on the Tokyo, London and other overseas stock exchanges, and will allow the company to raise the equivalent of $18 billion. After the offering, the mobile phone unit will still be under SoftBank's control. 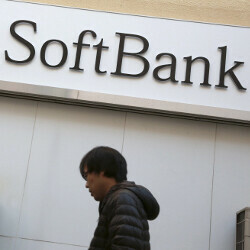 However, SoftBank will have a large pile of cash to use for investments in foreign IT companies, according to Reuters. The IPO would offer 30% of SoftBank's mobile phone unit and the company would keep the remaining 70%. While most parent companies are not allowed to own more than 65% of a subsidiary listed on the First Section of the Tokyo Stock Exchange, that limit is waived in this case because of the mobile phone division's planned offering in London. Assuming that Sprint is included in the spin off, approximately 24% of Sprint's shares would be included in the IPO. SoftBank finally won a hard fought battle for Sprint in July 2013, paying $21.6 billion for 78% of the nation's fourth largest carrier (number three at the time). The Japanese firm had to fight off a rival bid of $25.5 billion for 100% of Sprint from Dish Network. The purchase of Sprint also gave SoftBank control of network wholesale supplier Clearwire; the latter was purchased by Sprint just as the carrier agreed to the SoftBank transaction. The remaining 20% of Sprint not owned by SoftBank trades on the New York Stock Exchange under ticker symbol S. The shares closed Friday at $5.69, closer to the 52-week low of $5.42 than the 52 week high of $9.65. Amazing how these foreign companies come to the US and just blowup and become so dominate. Deutsche Telecom, brings TMO, Softbank and Sprint and then Verizon. Shows how much they all need the USA. Or the other way around, how much USA depend on other economies.